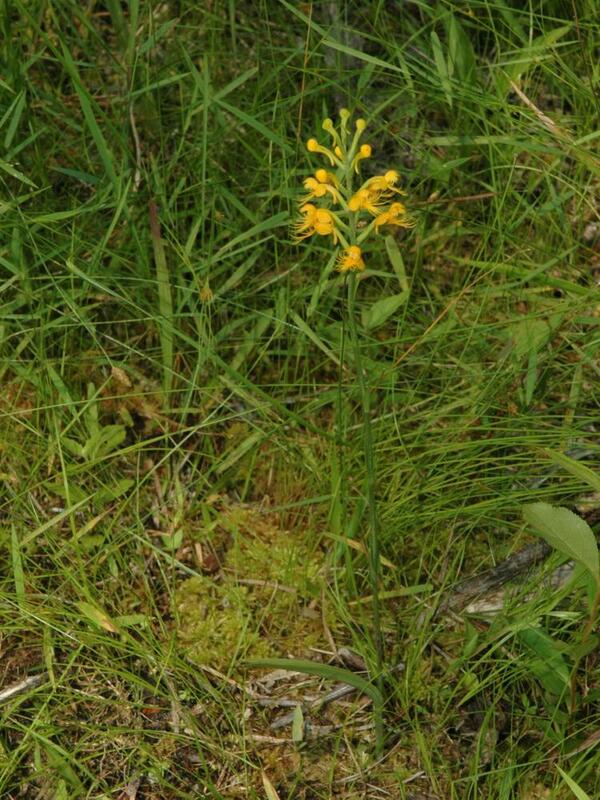 Platanthera cristata, commonly known as Crested Orange Bog Orchid, is found across the southeastern United States, from Texas to Florida, and up the east coast to New Hampshire. 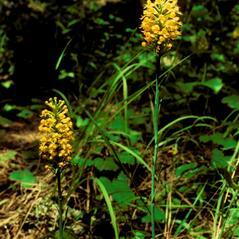 It produces 2-4 stem leaves and bears a dense inflorescence of multiple showy, bright orange flowers. 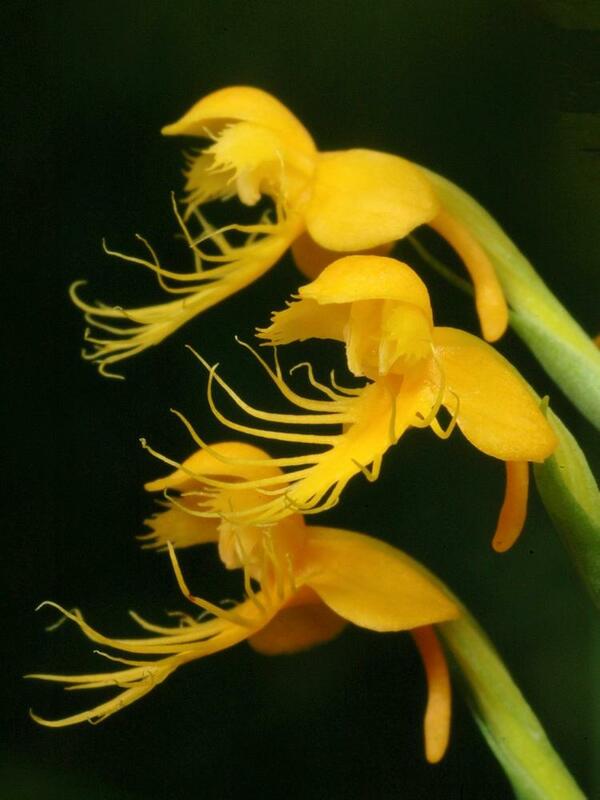 The labellum is often highly fringed, and a spur protrudes from the back of the flower with a triangular or key-hole shaped opening. 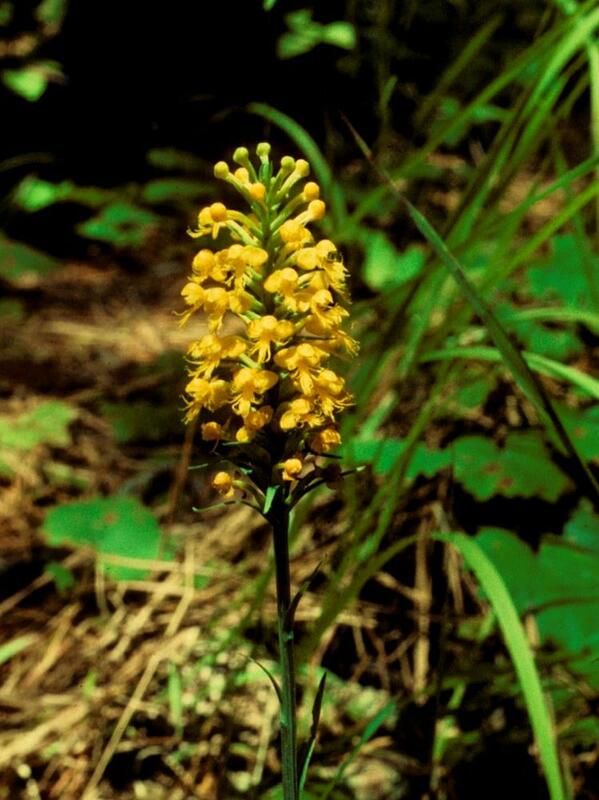 It can be found growing in moist meadows, marshes, and prairies, as well as in sphagnum bogs and wooded flats. 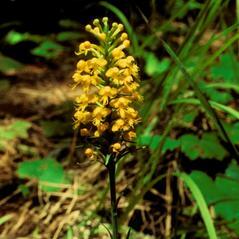 Platanthera cristata is considered globally secure, but it is rare or vulnerable throughout much of its range. 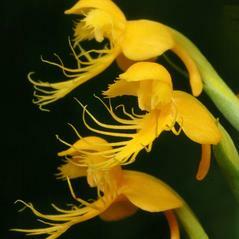 It is known to form a natural hybrid with P. blephariglottis, named P. × canbyi, with P. ciliaris, named P. × channellii and with P. chapmanii, named P. × apalachicola. 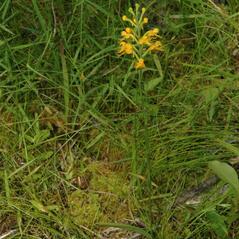 This orchid is pollinated by Bombus pensylvanicus in search of a reward. 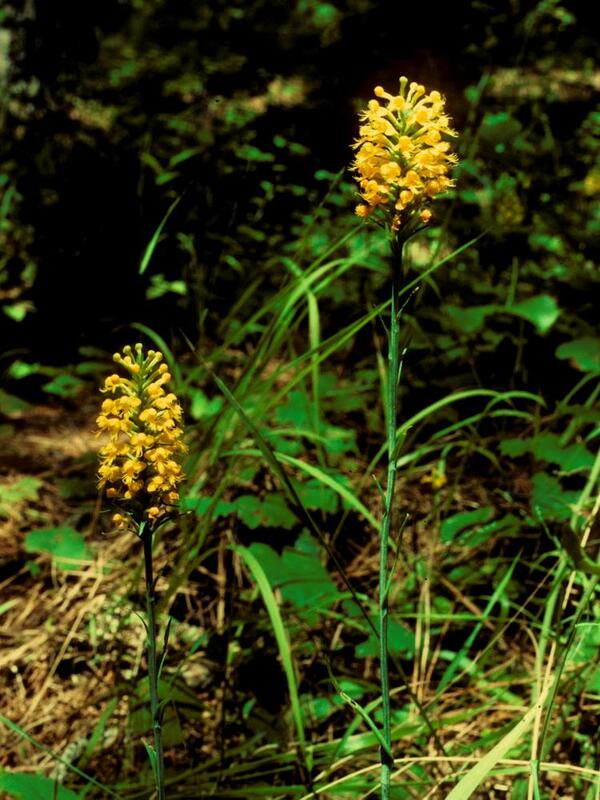 Because of flower morphology (i.e., the forward facing and close together viscidia) pollinia are attached to the head of the bee.